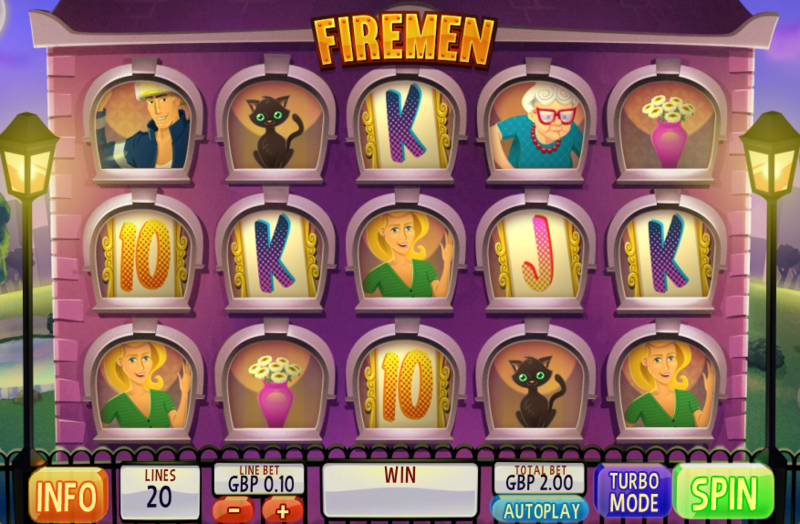 There’s an old cliche which suggests that all the ladies love a fireman and that means this online slot from Playtech/Virtue Fusion should find a receptive audience. It’s called Firemen and it offers some amusing graphics along with an interesting set of bonus features. Read our full review below and then jump in and try it out yourself. 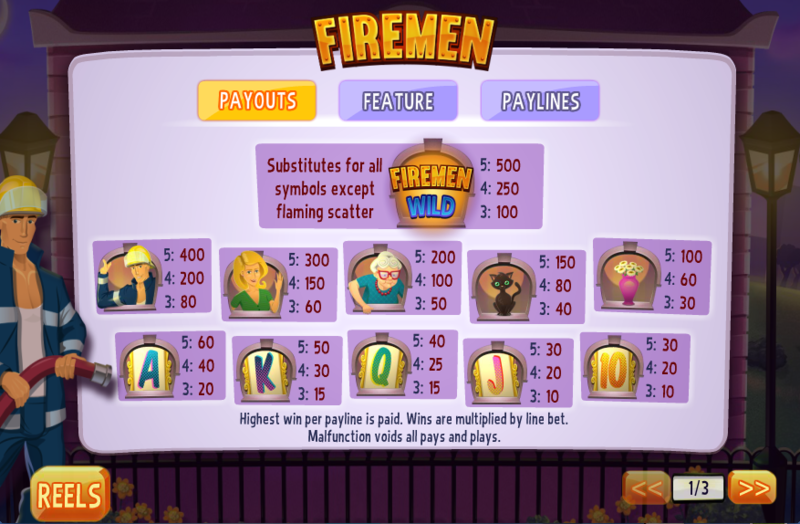 Firemen is a five reel slot with three rows and twenty fixed paylines; the design of the game places the reels inside a large building with each window acting as a reel position – gently glowing street lights frame the reels on either side. There are five high value symbols including the Fireman himself, a young lady, an older woman, a black cat and a vase of flower; 10, J, Q, K and A make up the numbers. The wild symbol is represented by a flashing light and it will substitute for everything else except the scatter; that scatter icon is a burning flame and it’s the key to all the bonus features. You only need to land one burning scatter symbol anywhere in view to trigger this feature and if you manage that it will spread to other reel positions and activate one of three games. The more positions the fire spreads to the bigger the potential wins. Firemen Wild – all the burning scatter symbols will become wilds and the reels will be re-evaluated for any wins. Instant Win – does what it says on the tin and awards a cash prize. Inferno Bonus – all symbol will turn into flames and you must click on them one at a time to reveal cash wins. Carry on until you find the ‘Collect’ symbol.